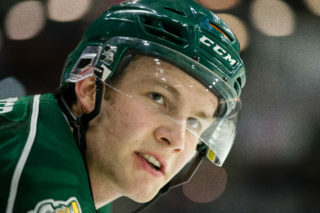 EVERETT, Wash. – The Tips fell to the Americans in game 2 this evening in a tough loss and put themselves in a familiar position as they set to continue with their 4-0 road record on Monday in Kennewick. SPECIAL TEAMS: Although Everett lost, there were a lot of positives to come from the game. 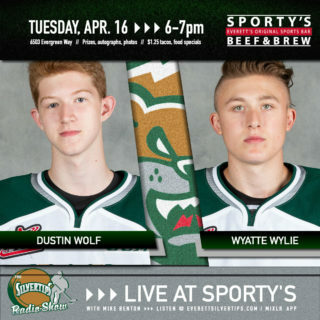 Special teams improved greatly as Everett was able to score two goals on their four man advantages and they were also able to kill all three Tri-City penalties this evening. The Americans have the most deadly power play of these playoffs as they sit at number one in the league and for Everett’s penalty kill to return to its own deadly form, it was huge for the squad and a lot to build onto moving forward. They killed all three of Tri-City’s opportunities. TURNING POINT: The second period. As Everett held 20-9 shot advantage and a 2-1 lead going into the second period, Tri-City turned around the shot count, 13-8 in the period and scored the only goal to tie it up. It led the way to a wild swing in the third period. The Americans gained their first lead of the series at 10:19 with a goal from Parker AuCoin. 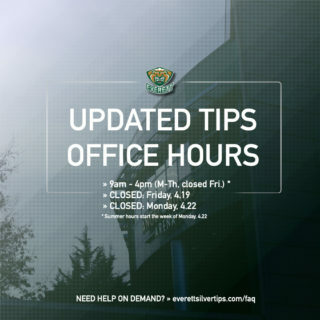 The Tips responded big as 1:06 later, Garrett Pilon got a huge tying goal for the team and it seemed as if the game was going to go into overtime with the building in pandemonium. Unfortunately just 1:04 later, the Americans regained the lead with a goal by Maxwell James. The winner came in lighting quick fashion after the Tips found a third period fit to be tied. The desperation was there for Everett after the goal and they did work hard to get every chance that they could, but several breakdowns and a rough second period were the difference. Game 3 will be strength versus strength. The Americans have been perfect at home (4-0 in the postseason). The Tips have been perfect on the road (4-0 in postseason). 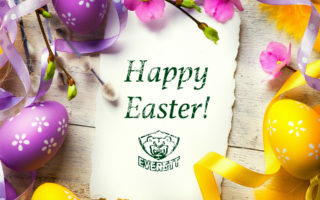 Everett has been in a 1-1 series position in all three rounds thus far and have been able to push forward to recapture momentum and win each of the first two series. “As you get deeper into the playoffs you can’t have those mental lapses. Both games we haven’t played a full 60 minutes. They’ve come out in the second and been more ready than us, and taken over the game. Moving forward we need to focus on one shift at a time. If we go out there and have not a great shift we can’t let it linger. We just have to get on to of our details again and try and get back on the train, so we can’t have those mental lapses. On the third period: I think we had some spurts where we got back to our game, back to skating. Not trying too much. I think it’s just that when you get deeper into the playoffs you’re playing tougher teams, and if you have too many mental lapses playing against this team they’re going to capitalize on their chances and take games over. On the Americans depth: They have a full team. They work extremely hard. They have a lot of guys that can make you look silly or capitalize on the chances you give them. They have a really strong top two lines but their other two lines are just as tough to play against. They have a really good team so they have to stay on top of it every shift. “They have a good team. We have to bear down and play the full 60. In the playoffs, the deeper you go, you just have to play a full 60. 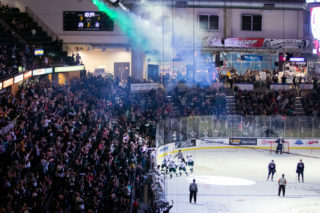 Silvertips staff writer Hailey Robinson contributed to this story.